Some soldiers instinctively respond to concepts in international law of which they may not even be aware. When men and women in the military do or see things that offend their deeply held sense of right and wrong, they may experience moral injury, a condition that overlaps with but is not the same as PTSD. Can anything other than rejection of warfare can truly bring about healing? A Coast Guard assault transport comes this Marine after two days and nights of Hell on the beach of Eniwetok in the Marshall Islands. February 1944. US National Archives, Public Domain. Decades after the Vietnam War, Dr. Jonathan Shay, a psychiatrist working for the Department of Veterans Affairs, used the term “moral injury” to describe the reactions of Vietnam veterans to atrocities commanded or condoned by their superiors. In recent years, the definition of moral injury has focused less on the betrayal of trust by higher military authority and more on acts by an individual soldier, including oneself or others, that violate the person’s fundamental sense of right and wrong. “Moral injury” is an emerging concept, increasingly recognized by the Armed Forces and the Department of Veterans Affairs. When men and women in the military believe they did or saw or failed to prevent something that offends their deeply held sense of right and wrong, they may experience moral injury. Having been a killer, or having failed to prevent death and injury, they may become convinced that what they did or saw is unforgivable. Since the end of the war in Vietnam, the United States has had an all-volunteer military service. Experience in the military may compel the volunteer to reconsider what he or she believes and why. The circumstances of modern warfare include fighting an enemy who cannot be clearly identified, or in which it is hard to tell who is a combatant and who is a civilian; or situations where people are being killed and there is nowhere to return fire; or taking part in a war that lacks moral clarity, or is opposed as unjustified or futile. Men and women who would defend their country may come to regard what they have experienced while in the military as a betrayal of what is morally acceptable. Men and women who would defend their country may come to regard what they have experienced while in the military as a betrayal of what is morally acceptable. 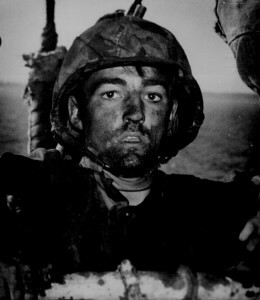 An article published by the U.S. Department of Veterans Affairs explains that moral injury may stem from direct participation in acts of combat, such as killing or harming others, or indirect acts, such as witnessing death or dying, failing to prevent the immoral acts of others, or giving or receiving orders that are perceived as gross moral violations. The act may have been carried out by an individual or a group, through a decision made individually or as a response to orders given by leaders. While in the military, some men and women instinctively respond to concepts in international law of which they may not even be aware: don’t kill civilians; don’t use disproportionate or indiscriminate force; collective punishment is unfair and wrong. International agreements call for protection of persons who are not in a position to defend themselves, such as enemy prisoners, wounded, noncombatants, or civilians. International law also requires personal responsibility for crimes against peace, or participating in war crimes or crimes against humanity. Moral injury overlaps with but is not the same as post-traumatic stress disorder. The same person may suffer from both PTSD and moral injury. A person may experience PTSD if he or she has been the target of others’ attempts to kill or injure, or has survived when others did not. An individual with moral injury may view him or herself as immoral, irredeemable, and un-reparable or believe that he or she lives in an immoral world. A person with PTSD has lost his sense of safety; a person with moral injury has lost his ability to trust. People with post-traumatic stress disorder and moral injury experience some of the same things: anger, depression, anxiety, insomnia, nightmares, reckless behavior and self-medication with alcohol or drugs. They recall and re-experience painful thoughts and images. Their emotional intensity may be uncontrollable and inappropriate. They may avoid situations or people that trigger memories. Close relationships with family and friends, especially those involving intimacy, suffer and deteriorate when normal emotional responses become numb. Little is known about what treatments best promote forgiveness and atonement for moral injury. People with moral injury also experience sorrow, grief, regret, shame, self-condemnation, loss of faith, and spiritual damage. If they focus on their own internal distress, they may have less empathy for others. They fail to forgive themselves and they expect to be judged and rejected. They distrust other people, withdraw from relationships and isolate themselves, feeling helpless and hopeless. They engage in self-harming behaviors. Suicide is the ultimate self-punishment. Military spouses and children can experience moral injury directly when they hear stories or see images of death and carnage, especially of women and children, and indirectly when the military parent withdraws or resorts to violence or self-destructive behavior. The Department of Defense does not formally recognize moral injury, but the Pentagon is funding a program to explore ways to adapt PTSD therapies for Marines suffering from moral injury. At an Armed Forces Public Health Conference, methods and goals of treatment for moral injury were listed as rationally assessing one’s own or others culpability, making or seeking amends, and compassionate forgiveness of self and others. There appears to be general agreement that self-forgiveness and forgiveness of others is central to healing from moral injuries. But little is known about what treatments best promote forgiveness and atonement for moral injury. The question remains whether anything other than rejection of warfare and taking action in affirmation of life can truly bring about healing. Alice Lynd was a draft counselor during the Vietnam War. Later she earned a law degree at the University of Pittsburgh where she first encountered international human rights law. In retirement she has worked with death-sentenced and high maximum security prisoners in solitary confinement. This column was condensed from a lengthy article called “Moral Injury and Conscientious Objection: Saying No to Military Service” available at http://historiansagainstwar.org/resources/militaryservice.pdf.